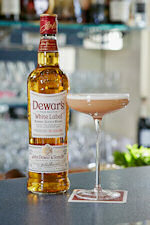 Glasgow, Scotland 2014 – DEWAR’S(R), the world’s most awarded blended Scotch whisky, has collaborated with award-winning bartender, Tom Walker, to create the DEWAR’S TRUE SCOTCH collection – whisky cocktails inspired by heritage recipes, reimagined with a contemporary twist. 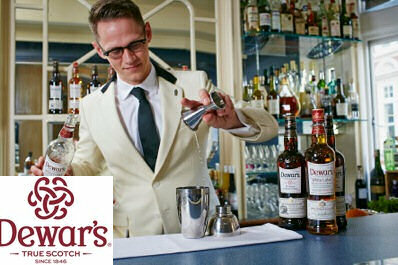 Tom Walker, bartender at The American Bar in The Savoy in London, which Tommy Dewar regularly frequented during his 26 year stay at the hotel, poured over classic cocktail bibles and picked through archive serves to select a series of heritage whisky cocktail recipes. 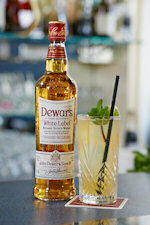 He then adapted these with modern ingredients, techniques and garnishes to create the DEWAR’S TRUE SCOTCH collection. The collection perfectly captures the DEWAR’S philosophy – TRUE SCOTCH SINCE 1846™ – and the brand’s status as the definitive blended Scotch whisky, distinguished by its peerless provenance, quality and craft. The collection brings to life the craftsmanship of bartending and the remarkable heritage of DEWAR’S, while also raising a toast to the redesign of the whisky brand’s packaging and bottle design. This recent visual evolution to the Scotch brand founded by John Dewar in 1846 took it into the future, as the TRUE SCOTCH collection has done with the most classic of cocktail recipes. The new packaging illuminates DEWAR’S remarkable heritage, enabling consumers to hold a piece of the DEWAR’S story in their hands every time they pick up a bottle. This story is expressed in every detail – from the bold colors, stoppers and seals to the bespoke typeface – all inspired and sourced from the extensive brand archive in Scotland. The most distinctive feature of the new DEWAR’S look is the trefoil Celtic truth knot that has been embossed onto the glass of every bottle. A powerful visual representation of DEWAR’S strength and longevity shows three interlocking ‘D’s that represent the three founders who first created the whisky – John Dewar and his sons, John Alexander Dewar and Tommy Dewar. Add all ingredients to a cocktail shaker and blend to emulsify the ingredients. Add ice, shake vigorously and strain into a chilled coupette. Garnish with a lemon twist and serve. Add all ingredients to a cocktail shaker and blend to emulsify the ingredients. Add ice, shake vigorously and strain into a chilled coupette. Serve naked. “The name of this drink chimes with the surging popularity of classic Scotch cocktails named after famous national luminaries, such as the Rob Roy and Bobby Burns. This time our luminary is Henry Raeburn – a Scottish portrait painter that Tommy Dewar favoured. The use of lime and Drambuie create a drink that is refreshing and rich in equal measure."